You love TV. I love TV. Now that we’ve established that, I’m here to talk about the simplest way to stream to your TV: the Roku 3. 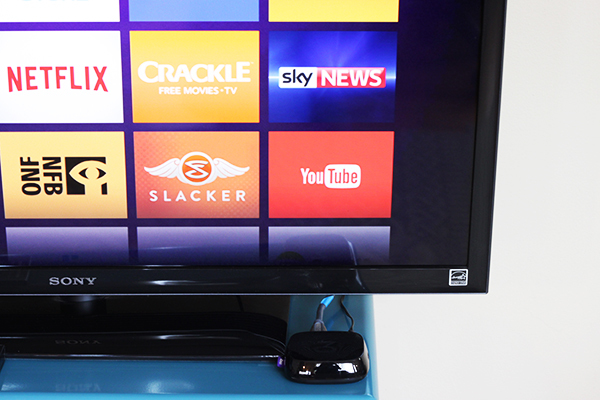 When using Roku, you can add channels to your stream, so that you have quick access to them. There are also buttons on the Roku remote for a few channels—Netflix, YouTube, rdio, Googleplay—which allows you to access them with one touch. Something to note: some channels require payment. Channel availability can change and varies by country. 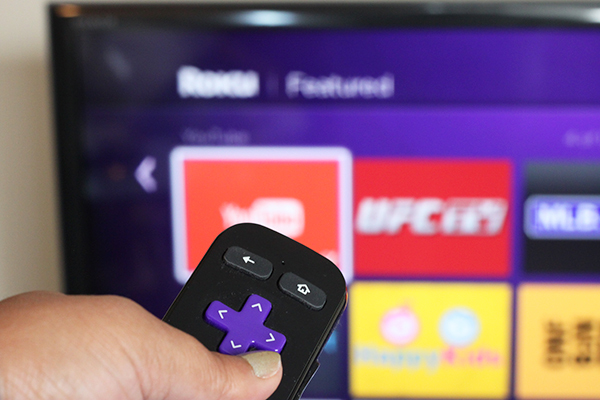 With over 1,400 streaming channels on Roku, it can be overwhelming to decide which ones to watch. 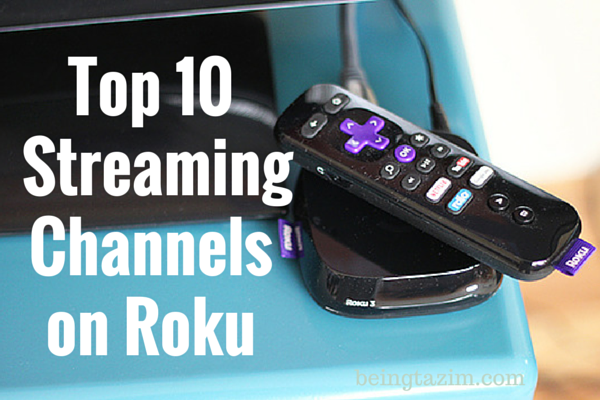 Here is my top 10 list of streaming channels on Roku. Is this an obvious one? I’ve mentioned my love for all things Netflix (the variety of Canadian and international TV shows and movies, the way I can binge watch entire seasons or series of TV shows with no effort, how I can watch it on all my devices), a few times on social media. One thing I love about using Netflix on Roku, is being able to start watching it on my iPad, while I’m making dinner, then being able to quickly switch to watching on my TV when it’s time to eat. I just press a button on my iPad—and easy does it! This is a totally free service that has good featured TV shows and movies. You can add things to your watchlist and also be notified when new episodes of something comes up. I have enjoyed watching Comedians in Cars with Coffee on Crackle, lately. I used to watch Crackle on my iPad – but it’s so much better on my TV! 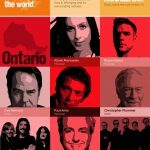 With over 2,000 documentaries and animations, you’ll be able to keep up with all your old and new NFB (National Film Board) favourites in one place. Sure, you watch YouTube videos online, when someone shares something on social media, but wouldn’t it be cool to see music videos, funny clips, and movie trailers on your TV? Instead of binge watching reality TV, hit up TED, for a change. There are so many inspiring, motivating, and educational videos from some awesome people around the world. But, if you’d rather watch something more “entertaining”, there are so many other channels to choose from. No judgement. There are also plenty of music-related channels on Roku. rdio and Spotify are two of my favourites. I also like a few of the food and lifestyle-related channels. Sometimes, I don’t want to wait for one of the other channels to get the latest movies, so I rent them from the Google play channel. If you want to watch the videos and check out the pictures from your Facebook account, there’s a Facebook channel to allow you to do just that on your TV. To round it out, I also like the vimeo channel for video. There are several models of Roku, depending on your needs. 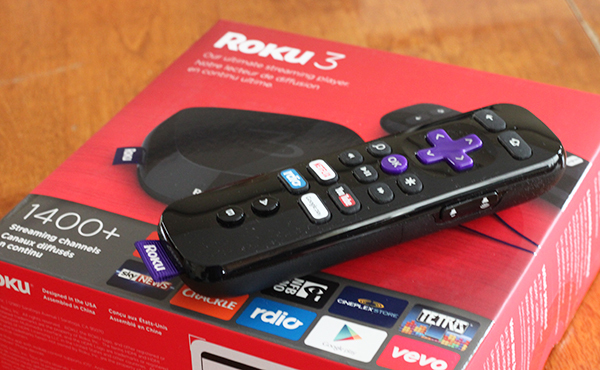 Take a look at the different options and choose your Roku media streaming device. 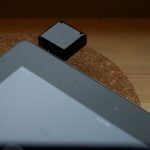 The Roku 3 is the most powerful of the players, with an enhanced remote. 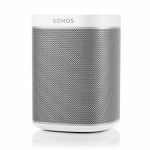 It retails for approximately $109.99, and can be purchased at several major stores, including London Drugs and Best Buy. Find out where to buy Roku players. I was sent a Roku from Belkin, in order to write this feature. I only share things that I really stand behind. This is no exception.